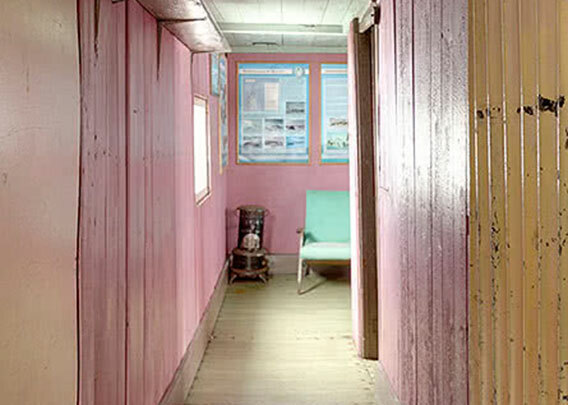 A virtual tour through Wordie House on Argentine Islands in the Antarctic Peninsula. 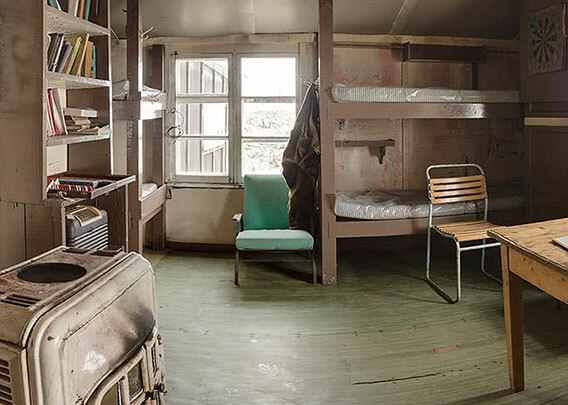 The whole tour consists of 9 panoramas, one from (almost) any room of the Wordie House. You can either let it play automatically or you can take a virtual tour from room to room by clicking on the markers in the doors. Enjoy the virtual tour, we appreciate your feedback – if you like the tour, please forward the link to this page to others who might be interested. 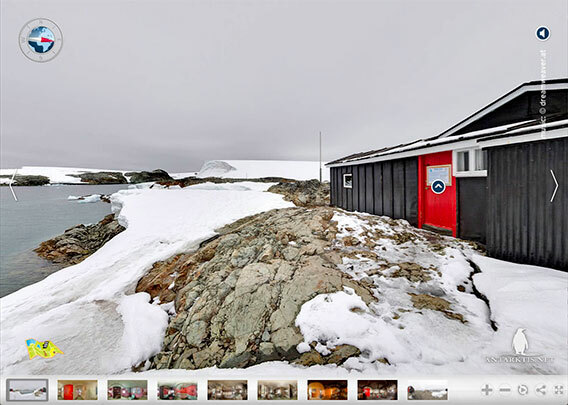 Once you have entered the virtual tour, you can either use the map in the lower left corner to navigate, or the bar at the bottom, or click on symbols within the panos to enter the next one (only if the next location is visible, not always available). Or you can just let it run and it will automatically switch to the next pano after one turnaround. You can switch the sound off (upper right corner) if you wish. You can also view this virtual tour on iPads and other tablets if they are powerful enough and have an up-to-date systems software. On desktop systems, you can use both HTML5/WebGL or Flash. And if you like, you can share the Pano-Link or link it yourself. Winter Island is a small island in the middle of the Argentine Islands, a small group of small islands (lots of „smalls“ in here). It is close to the Ukranian research station Vernadsky Base (British Faraday Station until 1996). This place on Winter Island was already used in 1935 by the British Graham Land Expedition led by John Rymill for their first wintering. Nothing is left of their base. It is said to have been destroyed by a tsunami in 1946. 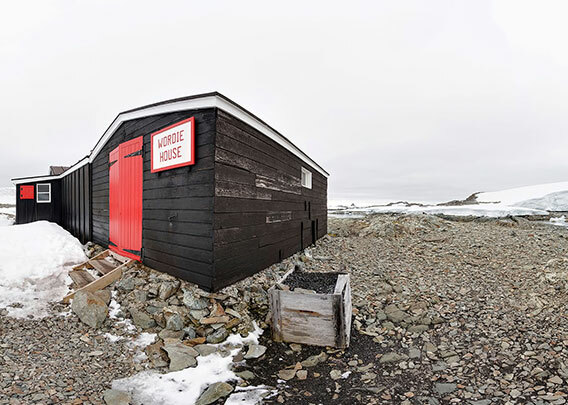 Wordie House was built in early 1947 by the Falkland Islands Dependencies Survey as the main building of their Base F. It was used until 1954, when it was replaced by a larger base on neighbouring Galindez Island. This new base was originally called Argentine Islands and later renamed Faraday Station. It was sold to the Ukraine in 1996 for one pound. Wordie House was kept as a historical monument, for freetime use and as an emergency refuge in case something would happen to the main base. The entrance hall is long and narrow. All rooms are accessible directly from the entrance hall. 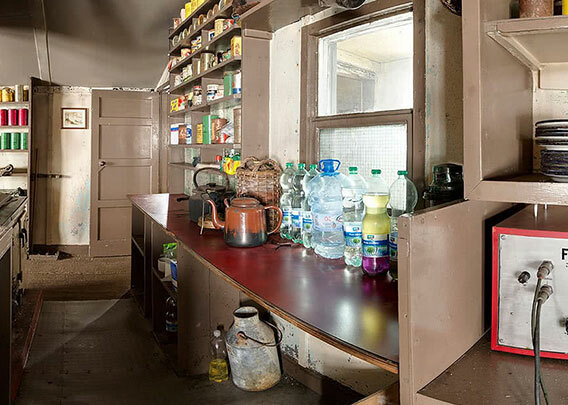 As space is limited, the number of persons inside the hut must be regulated and it shall not be more than 12 at any time. Boots need to be cleaned and no backpacks or large camera bags are allowed to prevent artefacts from being swept from tables or cupboards. 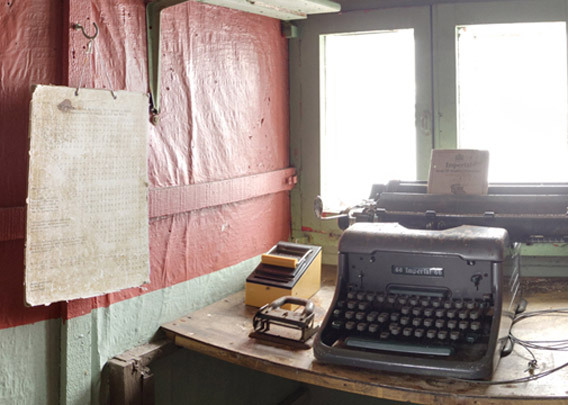 The Survey Room has a old-style typewriter and various scientific instruments. It is not as complete as it would have been when Base F was still active, many instruments will have been moved to the new station in 1954. There used to be a beautiful instrument to record sunshine hours made of a glass ball serving as a burning glass and a stripe of paper with it, I think this is called a heliograph and it was on the box (which is now open) next to the typewriter. The Met Room was, as the name says, the place where part of the meteorological work was done and instruments were kept. Most of them were removed later and there is not too much left now in the Met Room. The kitchen is in the same room as the living room, but the chimney kind of separates the room into two halfs. That was both practical and cosy. The kitchen seems relatively modern and there is still quite a bit of tinned food in the cupboards, all in a very charming and equally English mid 20th century style. Of course you should not forget here that Wordie House was still occasionally used by members of the Faraday Station (today Vernadsky) until at least 1996. Situated in the same room as the kitchen, the living room was the centre of everyday life in Base F/Wordie House. This is were the men (no women back then) were sharing their time, meals, and some of them also slept here. There were usually four or five men stationed on Base F during its active years, from 1947 to 1954. To be honest, I am not quite sure about the description „Dog Room, Linkway“. There were certainly no dogs in this far, which would be far too small for this purpose and it would have been quite unusual. 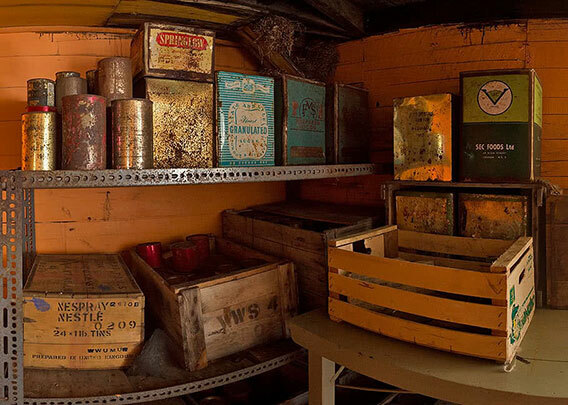 It is more likely that dog food and associated equipment such as harnesses were stored here, next to general storage. Even native English speakers familiar with the place were not able to explain the meaning of the word „linkway“ to me, and neither was my dictionary. I guess it just indicates that this room is a connection, in this case from the rest of the house to the toilet. Certainly a very important function. 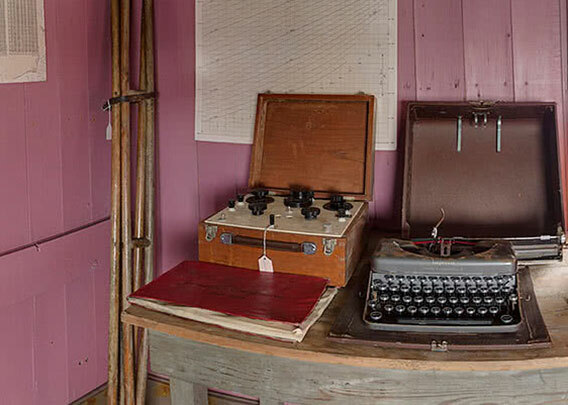 Base F was a station of the early days of modern times in the Antarctic, and as such, it had electricity for light, radio etc. The generator was very important. 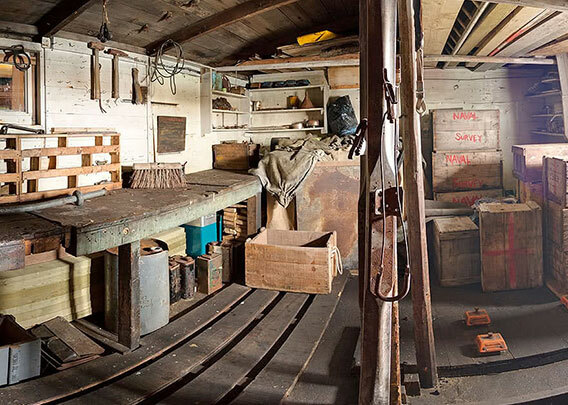 And it was equally important that the crew was able to do all necessary repairs, so they had a fully equipped workshop which was also in this room. 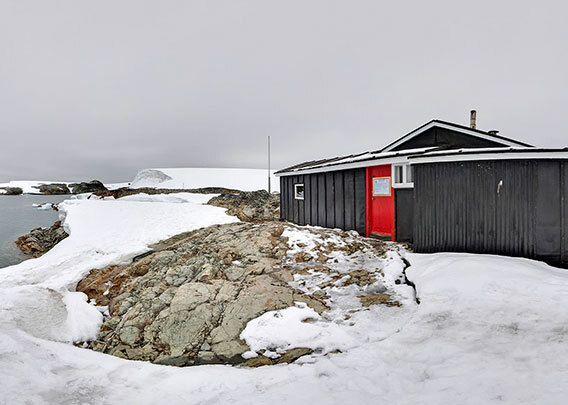 The surroundings of Wordie House are typical for the countless small islets and islands that you will find off the coast of the Antarctic Peninsula in this larger area. Many of the Argentine Islands and other, similar ones are covered by small ice caps, whereas some are just barren rocks. In the Arctic, small islands without higher elevations would just be ice-free in summer. This shows that the Antarctic is colder and harsher than the Arctic. A zodiac cruise through the channels with their partly icy and partly rocky coasts is always worthwhile. There are often many icebergs drifting in the more open waters surrounding these islands.